@Graves Taking the naked adventure bike segment to a whole new level. It’s all about shaving as much weight as possible. Left it in the garage because I didn't want to ride to work in the rain. I'm sure it is feeling sad because it LOVES splashing though puddles! After having a little accident in Spain back in June I haven’t been able to use the bike due to little damage and my shoulder that was injured. 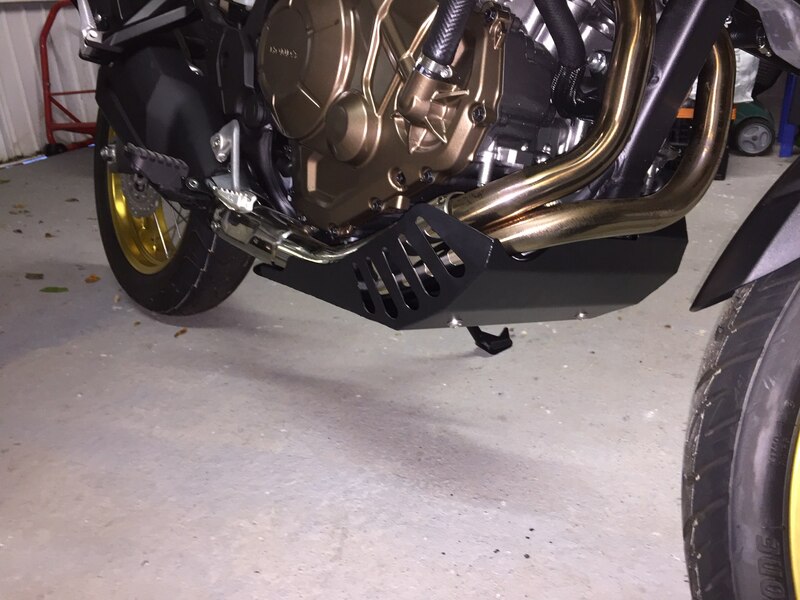 I have ordered the parts and have today replaced everything that was damage to my disappointment the hand guards didn’t come with the holding brackets and I wasn’t made aware that they needed to be ordered separately. Also the gear shifter didn’t come with the round rubber at the end and I had to use the old one that wasn’t easy to remove. Any way after spending the Friday removing and repairing the bike it looks like new again. What all did you have to replace? I swapped my guards out for the BarkBusters. They look great and feel very strong. I'd recommend them if the budget will stretch - the OEM guards just feel way too flimsy to me. 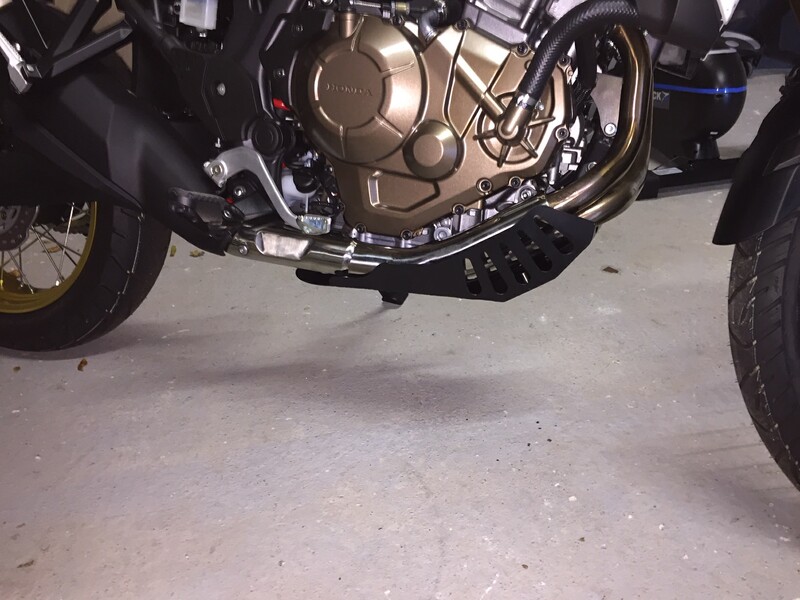 Just check your fitting and make sure your throttle returns smoothly with no binding. I rode it to the polling place before work. Usually I'm the first or second in line, not today. UK media is reporting healthy numbers turning out. Good to see whatever way you're politically inclined. Same here! Got my sticker. 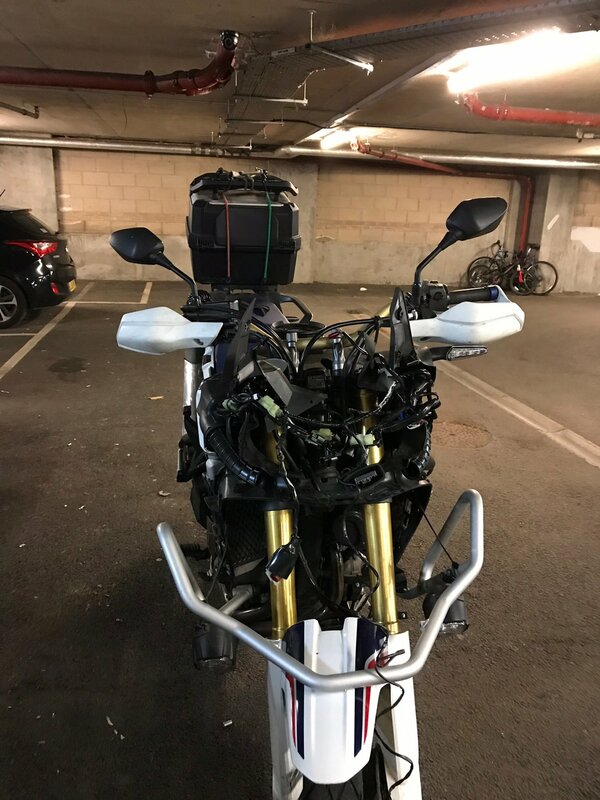 I have to replace the bracket where the sat nav goes, the fairing on the right had side and the black trim next to it, I have taken the hand guards off as I got the new ones didn’t come with the brackets so couldn’t fit them back but I want to order the metal ones but not available until January. I have aslo replaced the gear level and the clutch level. I also want to replace the screen as to much air gets from the openings of the original one. I’ve done all this in about 5 hours. Looks like a good chunky mount. Awesome! But I need details. I've been looking to replace my tired tail bag with a case and I REALLY like the looks of your solution! It is a pelican storm case, model : IM2075, mounted on a SW-Motech rack. I had an old tankbag from sw motech in the attic, I only used the adapters. That’s all, for me it works just fine. Fitted Heed bash plate. Pin in the arse instructions but good fit in the end. Had nearly a full bin bag of clingfilm that it arrived in! Looks nice please send the link where you got it if you don’t mind.